There won’t be a coffee shop barista when staying in the backcountry, so practicing how to make a pot of cowboy coffee will pay off big dividends in camp. 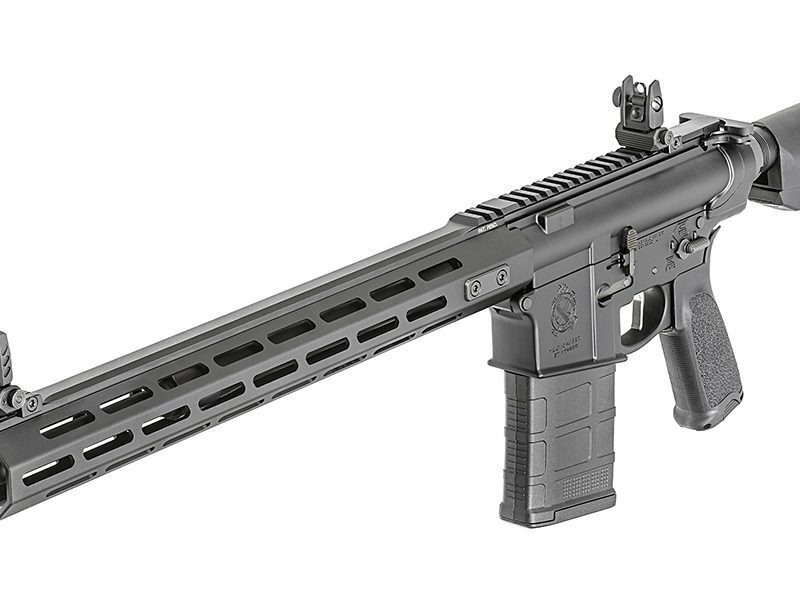 Cowboys might rather have given up their six-shooter for the day than give up their coffee. 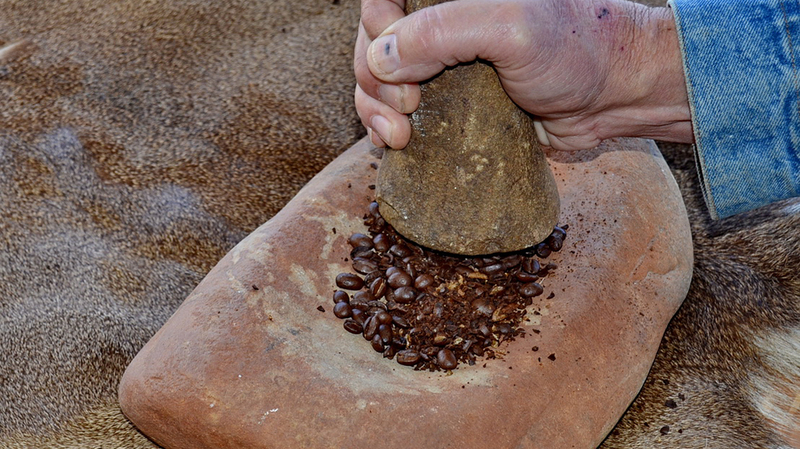 Before coffee grinders became common, crude mortar and pestles (often made by American Indians such as this one) were used to grind the beans for the pot. 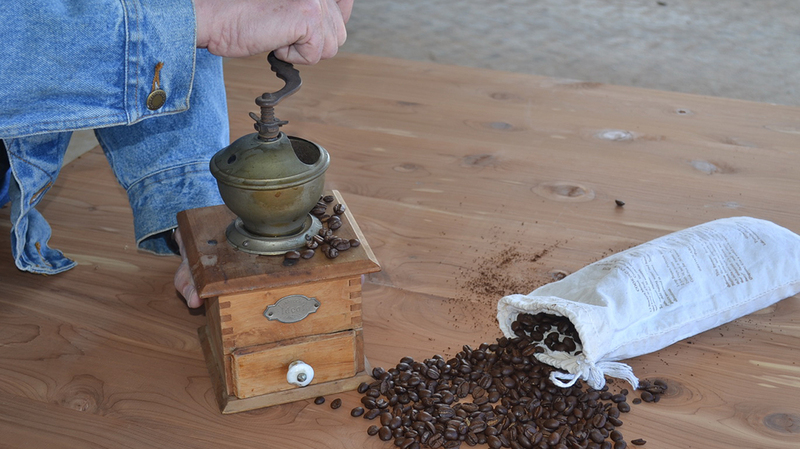 Chuck wagon cooks were thankful if they had a coffee grinder to speed up grinding the beans. Using a small strainer when pouring your coffee will keep grounds out of your cup. After being made, the pot was put to the side of the fire to keep the grounds from over-boiling and to keep the coffee warm. 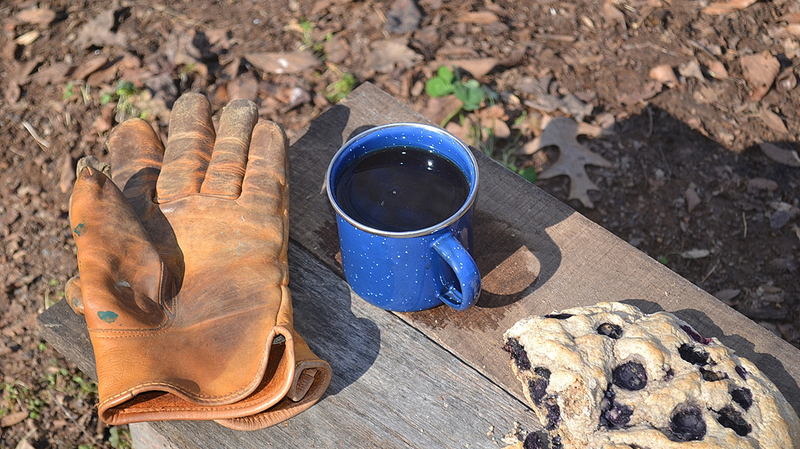 Blueberry bannock was a treat to eat with a cup of coffee in cattle country or backcountry camp. Cowboy coffee has been the fuel that has started the day for people for more than 500 years. Originally found in the Ethiopian highlands, coffee soon spread to the Arabian Peninsula. There, it became cultivated widely and soon became a trade item throughout the area. During the 16th century, coffee cultivation and trade spread to Egypt, Persia, Syria and Turkey. It became a common drink in homes throughout the area. Coffee houses soon began to spread across the Near East and became a center for social activities. By the 17th century, coffee was becoming popular across Europe. The spread of the beverage was not without controversy, however. It was often called “Satan’s bitter invention,” and Pope Clement VIII was asked to intercede in the controversy. He decided he must taste coffee before he could render a decision. The pope found the coffee delicious and gave his approval to the drink. Before long, coffee was the favored breakfast drink throughout Europe. The British brought coffee to New Amsterdam, later renamed New York, and its popularity spread rapidly. Tea, however, was still the favorite drink of the colonists until 1773, when a heavy tea tax by King George III created a revolt. The Boston Tea Party forever changed America’s drinking preference to the new beverage: coffee. 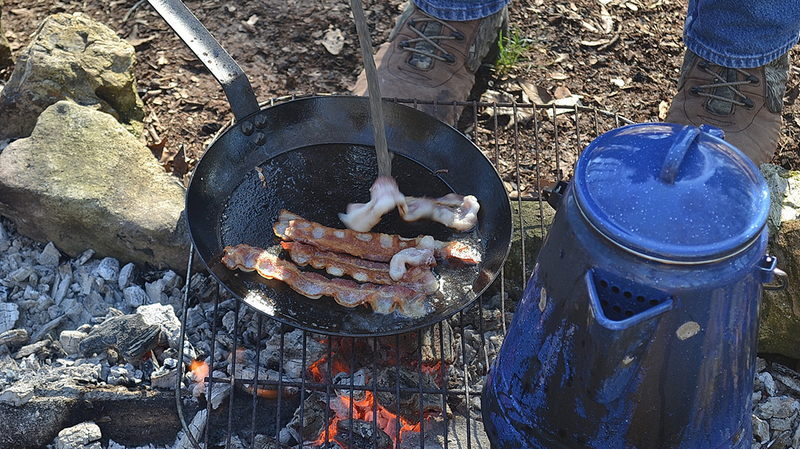 As settlers headed west, coffee traveled with them as a necessity, along with bacon and beans. Coffee was the fuel that kept the motor going for folks headed westward for their new lives. 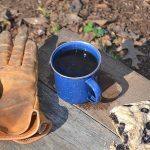 Cowboys, farmers, miners, trappers and settlers depended on the hot, dark beverage to start their day and often to keep them going throughout the day and night. Cowboys probably drank more coffee than most because of their long work days and nights—particularly if they drove the night herd. Whether at a ranch house or chuck wagon on the range, there was usually a large blackened coffee pot going most of the day for cowboys. As the American West opened up to settlers, coffee was thought of as one of the necessities you carried along. It had become part of everyday life, but it took a little doing to enjoy a cup of the magic brew. Roasted coffee beans were not commonly available, but green coffee beans were and had to be roasted beforehand. Usually, the cook would roast several days’ worth of beans at a time to have them available. Green coffee beans have a longer shelf life than roasted beans, providing a decided advantage when trips to town for supplies can be long and arduous. After roasting green coffee beans, the cook had to grind them for brewing. 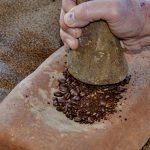 In the early days, a mortar and pestle—often a crude stone set made by American Indians—was used to grind beans for brewing. 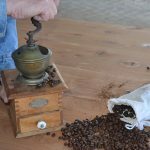 In time, hand-crank coffee grinders became common at trading posts and in cow towns, reducing the time needed to prepare the beans. In 1865, John and Charles Arbuckle patented a method to preserve roasted coffee beans by coating them in egg whites and sugar. Arbuckles’ Ariosa blend coffee included a peppermint stick with each 1-pound bag of coffee. One hundred 1-pound bags of the coffee came packed in a wooden case, which was helpful to chuck wagon cooks because they often couldn’t get to a trading post or cow-town supply store. The cowboys would often get in a fight about who would grind the coffee and get the peppermint stick. Whether home at the ranch or on a cattle drive, the cook was usually up at 3 to 4 a.m. to start preparing breakfast. Often, the cook might save leftover coffee from the night before to use in a stew later that day. Cowboys arose to start their day with the aroma of fresh-brewed coffee and a wood fire. Cowboy Coffee was generally served black unless you were a tenderfoot and insisted on adding sugar and evaporated milk. Experienced cowboys loved to tease a tenderfoot should he choose sugar and milk. Usually, it was easier to learn to drink the coffee black than deal with the incessant badgering of the cowboys. Coffee pots (boilers) usually held 20 to 36 cups, depending on the number of cowboys working. The pots were made of enamelware, copper, cast iron or steel and never boiled dry. The cook would always have coffee available to cowboys during the day unless the chuck wagon was hitched up to move to another location. 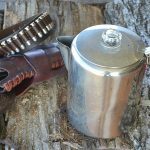 I’ve come across several methods of brewing a pot of cowboy coffee in hunting and fishing camps through the years. 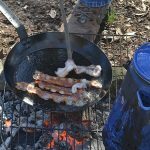 The methods aren’t too different, but you don’t want to question a camp cook about the way he brews his coffee. They all believe their method is the best, after all, and why would anybody want to make it differently than they do? I proved him right by trying to make his version of cowboy coffee when I got home. Heck didn’t wash his 36-cup coffee boiler with soap but rather rinsed it out with water after using it. He figured not using soap helped season his coffee boiler. 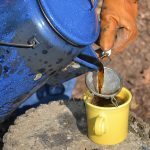 Perhaps the easiest and most popular method of brewing cowboy coffee involves egg shells and cold water to settle the grounds. Add your ground coffee to the water in your pot. Bring it to a slow boil and then remove the pot immediately from the fire. Not doing so will give your coffee a bitter, acidic flavor. Let the coffee steep one minute, and then add a couple of eggshells and let the grounds settle. The albumin residue from the egg shells coagulates the grounds and helps them settle. Add a little cold water to finish settling the grounds. My least favorite method of brewing cowboy coffee is using the grounds from the last pot of coffee that was brewed. Pour off the coffee, save the grounds and fill the pot with water. Bring it to a boil, set the pot aside and put in your fresh coffee. Let it sit for a minute, and pour some cold water in the pot to settle the grounds. 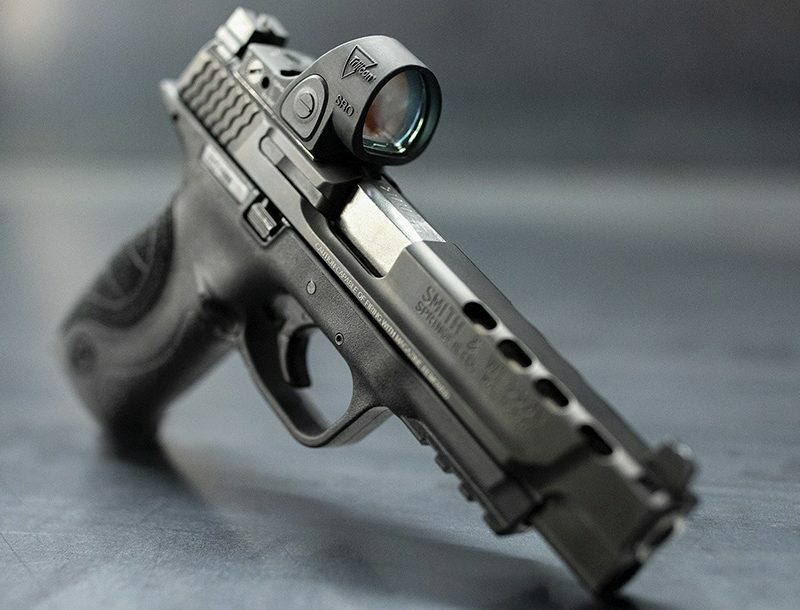 Be prepared, because it will be strong, to put it mildly. 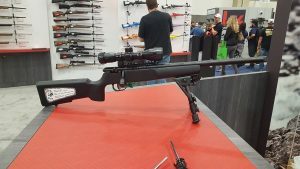 While mule deer hunting in southern Colorado, my hunting partner, Tony, and I endured the strongest coffee we had ever tasted for a week. Bud, the grizzled camp cook, told us the first morning in camp that his “coffee was the best there was anywhere. You can’t buy coffee like mine in the city.” I’ve never seen or tasted coffee so strong. The color of the coffee was black as tar, and the taste would raise the dead. When Bud would turn his back to us, Tony and I would empty our cups behind our camp chairs. Sooner or later, Bud would bring the pot over and refill our cups, much to our dismay. 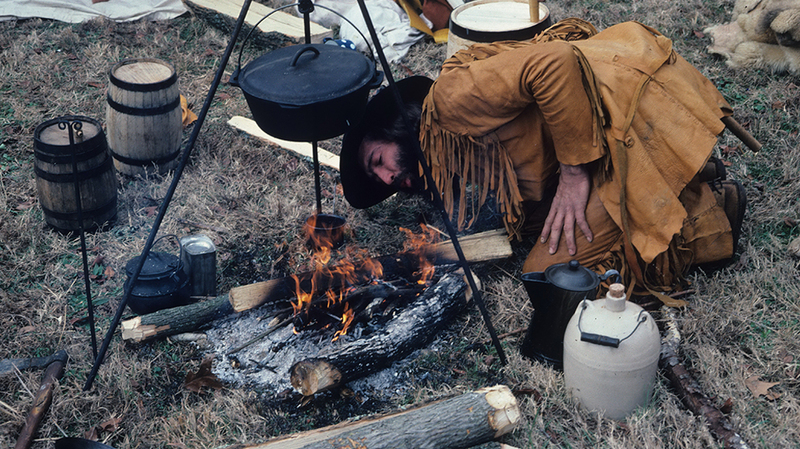 Despite his coffee, he turned out to be a darn good camp cook, particularly his elk pot roast cooked in a Dutch oven. Start by choosing your beans. A light or medium roast is generally preferable. They will be more forgiving than a dark or expresso roast if you overcook your coffee. Folks have two schools of thought about the proper grind for beans. Those preferring a fine or medium grind like it because it allows more flavor extraction in less time. The contact between the water and essential coffee oils increases with the finer grind. Also, the fine grounds sink to the bottom easier than coarser grounds. The argument for the coarse-ground coffee is that the coffee brews slower, giving a better flavor to the brew. Also, you do not have as much sediment or sludge in the bottom of the pot when it is time to clean it. The proper amount of coffee for your pot can vary based on your taste and whether your coffee is light medium or dark roast. 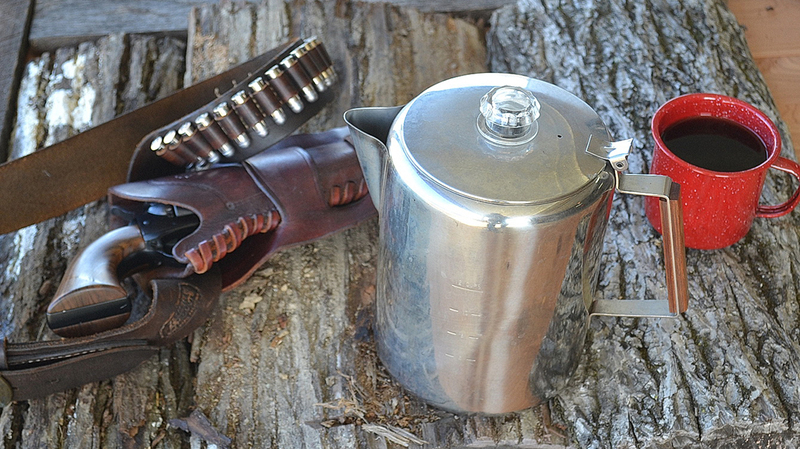 Commonly, cowboy cooks measure their coffee by the handful. After making coffee day after day for a long period, a cook’s “hand full” of ground coffee becomes the same size every time. This ensures a good pot of coffee when the cook brews a pot. Generally, the coffee boiler on most ranches, camps and chuck wagons holds at least 36 cups. A more precise method to ensure good coffee is to use a measuring cup. 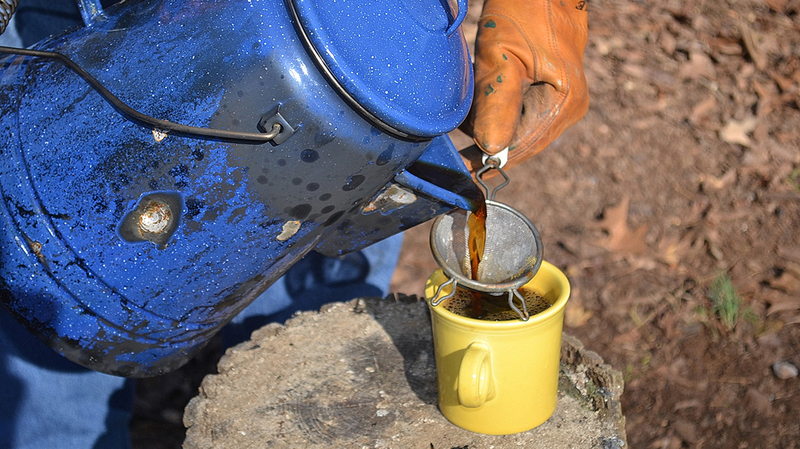 In my 36-cup enamelware coffee boiler (gsioutdoors.com), I use 1.5 cups of ground coffee to 1 gallon of water. A trick I learned from my father is to add a shake of salt into the boiler with the ground coffee. The salt is tasteless in the coffee and helps reduce the acidity. I bring the water to a boil and then take the pot off the fire and set it aside. I put the ground coffee in the pot and stir. Then, I let the coffee steep three minutes and then pour one-half to 1 cup of water down the spout to settle the grounds. The first cups of coffee from the pot will be the best. Coffee that sits in the pot with the grounds will become too strong and bitter. I like to carry a quart thermos or carafe to pour the coffee into after we have the first round. A small fine-mesh wire strainer is useful to keep in your kit. Hold it over the cup when you are pouring coffee to remove any stray grounds floating around. A coffee filter or clean bandana will work, too. 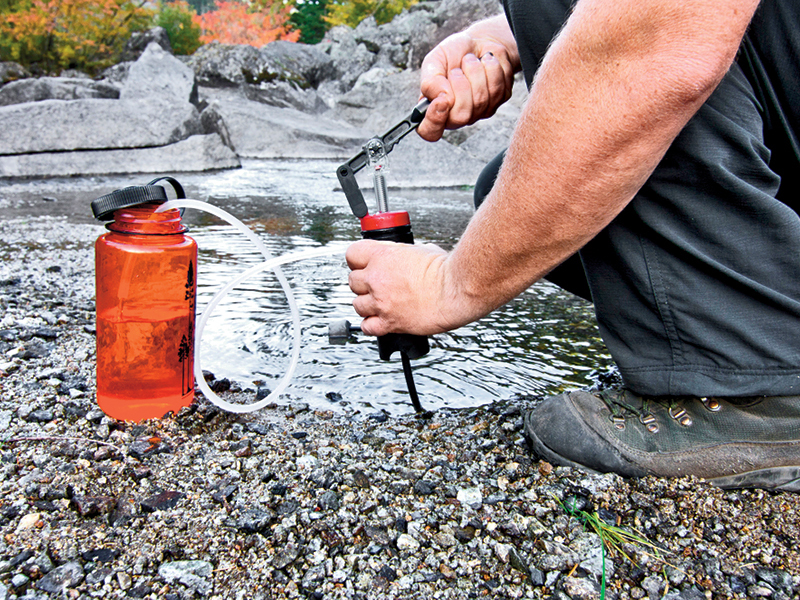 When you are staying in the backcountry, there won’t be a coffee shop barista to make your coffee or a fast food drive-through nearby. The time and practice you take to make a good pot of cowboy coffee will pay off big dividends in camp.